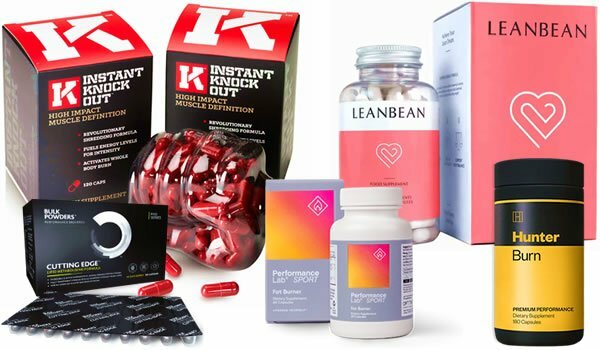 There are loads of products on sale these days to help you lose weight fast and get lean in a healthy way. But we were really excited to try out Protein World’s Slender Blend because of the positive reviews we have read about the British company’s flagship products. With summer on the way, we could all do with a helping hand on our way towards toning up and losing weight for the beach. There’s no better sensation than feeling the warm sand beneath your feet for the first time at the start of your holiday and feeling proud of your body. The first thing you’ll probably notice when browsing Protein World’s website is the clean and clear design of the products. 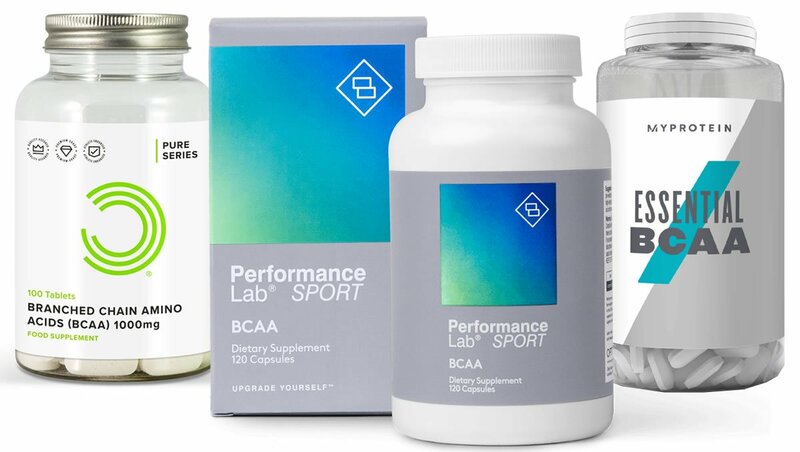 It makes a refreshing change from the over-branding on so many of today’s health and fitness products. 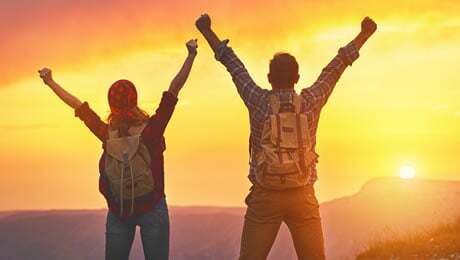 We’re always on the lookout for new ways to help us achieve out fitness goals – and with summer fast approaching, who wouldn’t like to lose a few pounds in a healthy way? So, we decided to give The Slender Blend and The Slender Plan a go. Here, we’re going to walk you through each of the products in the collections to see if they’re products you should consider adding to your regimes to help achieve your goals. First things first, The Slender Blend (the protein powder) is available on its own as a 2.5kg bag, which works out at 60 servings, for £58. This review is going to focus on The Slender Plan Vanilla Porridge collection, which includes a 1.2kg Slender Blend tub amongst other things. So, what’s in the box? The Slender Plan – Vanilla Porridge is sold as ’the 30 day weight loss programme’ on the Protein World website. 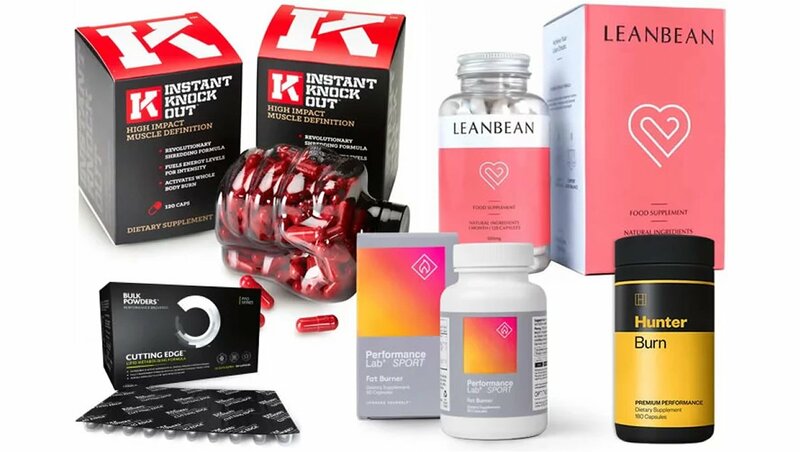 We’ll get into the details of each product below but we really like the way everything is packed together with one goal in mind – to help you lose weight and burn fat fast, and in a healthy way. 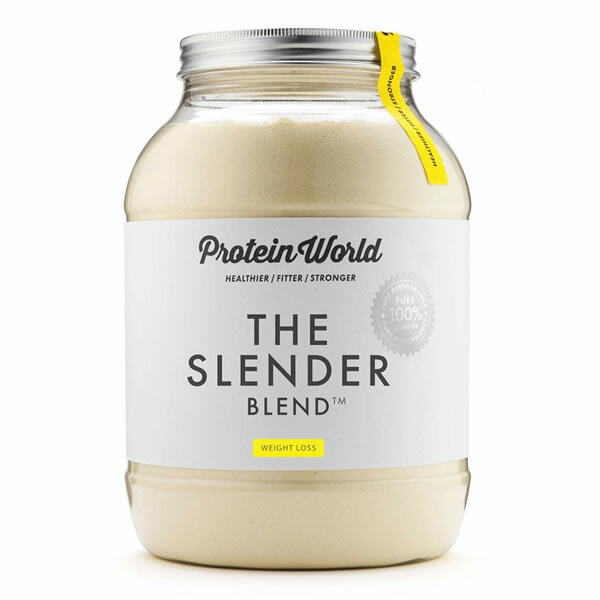 The Slender Blend is Protein World’s best selling product and it’s not hard to see why. Included in each serving of the powder is 24 grams of grass-fed non-GMO whey protein, as well as 25 vitamins and minerals. Most importantly, each serving contains less than 150 calories and has no added sugar. In short, The Slender Blend is designed to control cravings and help your build lean, toned muscle. You can use it as a meal replacement or as a protein shake after your workout. The first thing we loved about The Slender Blend is the taste. 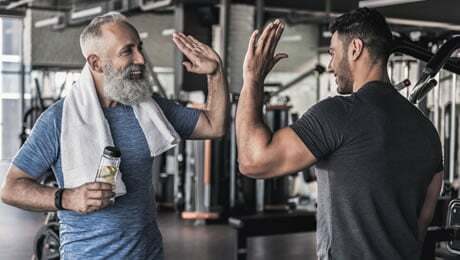 There’s nothing worse than dreading your post-workout protein shake because of the taste, and we can safely say that The Slender Blend is one of the best shakes we have ever tried. We sampled the vanilla flavour but there are a number of others available (salted caramel, anyone?). We mixed it with unsweetened almond milk but it works just as well with water or normal milk. The best thing about The Slender Blend is the fact you can use it as both a meal replacement and post-workout protein shake. That means, you could use it as a meal replacement to shed a few pounds for a couple of weeks, and then as a normal protein shake to help you build lean muscle. The Slender Porridge is included as your suggested breakfast during your weight-loss journey. Each serving of the gluten-free porridge contains under 200 calories and less than a gram of sugar. Oats are a great natural source of sustained energy, and The Slender Porridge also contains added chia and flaxseed. We’ve always been big fans of porridge in the morning and The Slender Porridge went down very well indeed. It mixes well and most importantly, tastes great. 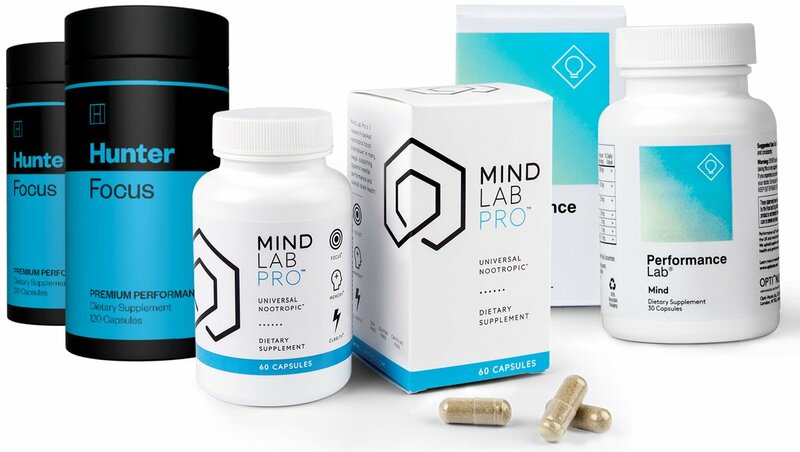 Also included in the collection are two bottles of supplements to help you on your way. Protein World’s Hunger Buster capsules. Each capsule contains a blend of Konjac glucomannan and garcinia cambogia. 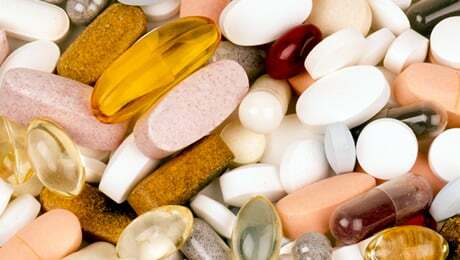 The glucomannan in the Hunger Buster capsules is derived from the Konjac plant. It’s a form of natural soluble fibre that can contribute to weight loss in the context of an energy restricted diet. Meanwhile, the active ingredient in Garcinia cambogia is hydroxycitric acid and it’s a popular inclusion in supplements of this type. 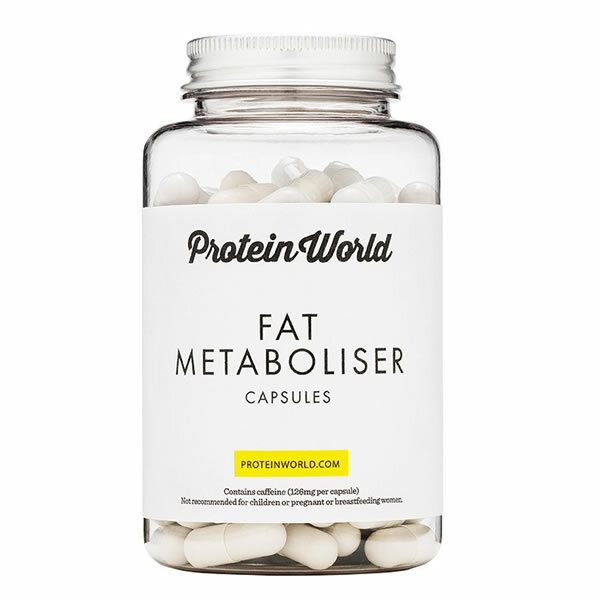 The Fat Metaboliser capsules (previously called Fat Melter capsules) are another one of Protein World’s popular products. The main ingredients are guarana extract and green tea. These capsules contain a good amount of caffeine so it’s best to take these in the morning. We did some digging around the internet to see what some verified buyers were saying about their experiences with The Slender Blend and the other products included in the bundle. Generally, the reviews are very positive. 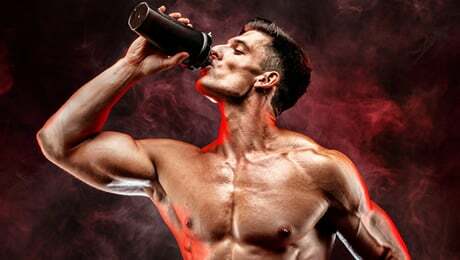 The Slender Blend is one of Protein World’s top-rated products and it’s no surprise that there are lots of positive reviews. All of the separate products in The Slender Plan are available separately on the Protein World website, but the best deal is definitely the £72 plan, which includes all of the products listed above and is designed to work over a 30-day period. The Slender Blend is available as a separate product on the Protein World website. A 1.2kg tub costs £32, and a 2.5kg bag costs £58. 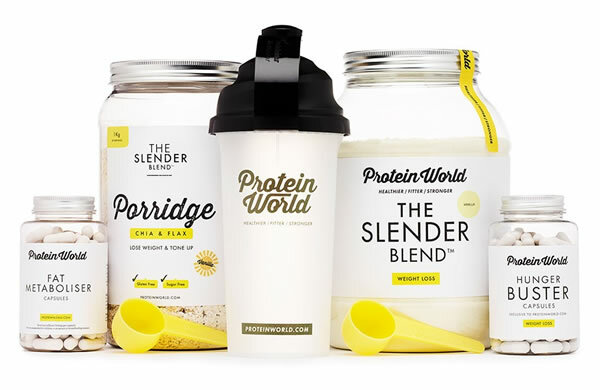 So there you have it, our full review of Protein World’s Slender Plan, including The Slender Blend and The Slender Porridge. In case you haven’t already realised, we really like this bundle. If you’re looking to lose weight and tone up for the summer, this is a great product to help you on your journey – and customers seem to think so as well. This article was last updated on December 27, 2018.